Patyka's Matte perfecting fluid is specially formulated to moisturize and mattify skin without drying it out while balancing sebum production throughout the day. Enriched with prebiotics that reinforce the microbial flora of the skin in the long term and thus treat the problem of imperfections at the source, the balancing formula of this Patyka organic cream effectively fights oiliness on T-zone, blemishes and uneven complexion. The very fine non-comedogenic texture of this hydrating fluid makes the application light and pleasant without clogging the pores of the skin, absorbs excess sebum and matifies the skin while providing a soft finish. Results: day after day, the skin is rebalanced and matified. The impurities disappear and the skin texture is refined. Organic mattifying face moisturizer for combination or oily skin. 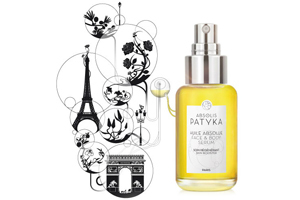 Apply the Patyka organic moisturizing cream to face without forgetting the neck after cleansing and toning.